If you are selling your home and a potential buyer has requested a Home Inspection, there are some things that the seller should do to ensure that the Home Inspection goes well and doesn’t hinder the chance of a sale. I am asked many times what are the things you should do to prepare your home when putting it up for sale. Before you even begin to do your home stage the property for potential buyers you should consider having a Pre-Listing Home Inspection. It may seem like a given but you’d be surprised how many home owners tend to forget this vital part of the inspection. 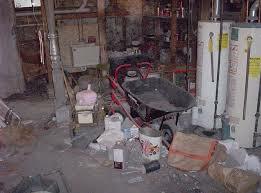 A dirty and unkempt home may give the Home Inspectors decides how well a home has been maintained. Replace burned out bulbs so that the lights won’t be reported as “Light is inoperable” that may suggest an electrical problem. As well, test smoke and carbon monoxide detectors, and replace dead batteries. More often than not home inspectors are early. You should be prepared for the home inspector to arrive 15 – 30 minutes before the prearranged inspection time. Many inspectors will begin their inspections on the exterior of the home while waiting for the client so it’s important that you be ready when they arrive. 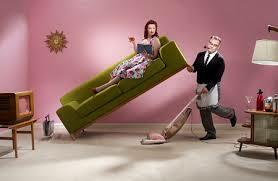 If possible, leave the home 30 minutes prior to the arranged time. Many components of the home, including the the stove, the dishwasher, the furnace and air conditioning are part of the inspection and the Home Inspector will need to test each one. 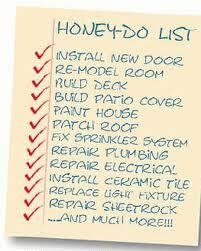 If the services aren’t on and the components are not tested, it may be detrimental to the closing of the home. If pilot lights are out, the Home Inspector will not reignite them because of the liability involved and it’s not within the scope of their inspection. Unlit pilot lights will affect the inspection and may ultimately affect the sale of the home if these vital components are not inspected. Standards of Practice requires that the Inspector evaluate the attic and garage. The Home Inspector will not move furniture, boxes or any other obstructions to access these areas. Standards of Practice require the Home Inspector to inspect the garage which includes the operation of the garage door and any automated systems attached. It’s important to either ensure the garage is unlocked and the remotes left available or to leave the keys and remotes available for access. Oftentimes homes have vegetative growth around the perimeter of the home. Wherever possible, remove the vegetation, or create access so that the Home Inspector is able to inspect the foundation and window wells. This is Home Staging for the Exterior.…………………………. …………………………………… …………………………. ……………………….. If you have recently repaired or replaced components such as a new roof or stove. Please leave the documentation for the home inspector to refer to and make note in the report. 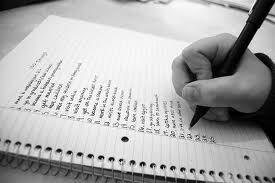 Having accurate information regarding any repairs or maintenance in the report will assist in selling of the home. Home Inspections can take up to 3 hours or more to complete. It is recommended that the potential buyer be present during the inspection so that the Home Inspector has the opportunity to teach the potential buyer about the home and it’s components. When the seller is present, it can make for an uncomfortable situation for the potential buyer and they may not ask the questions they really want to ask. 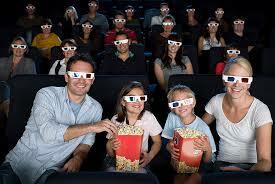 Schedule a time for the inspection when you and your family can be out of the house for an extended period of time. Be sure to either take any pets with you or crate your pets so that they don’t hinder the inspection. It’s best not to leave them locked in a room, such as a bedroom, during the inspection because this room will then not be inspected. If there are repairs you’ve been meaning to make, go ahead and make them. When buyers get a long list of items that need repair from their home inspector, they get nervous. So, take care of things like loose stair railings, broken light fixtures and worn out hoses now. The inspector will find them, and you’ll wind up having to repair them sooner or later, so it’s best to go ahead and do it now. You’ll feel better about it and your home will have a better inspection. The home inspector will want to look at crawl spaces, attic spaces and electrical boxes. 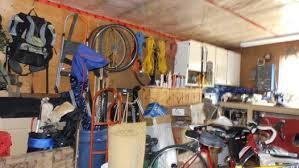 If clutter is blocking access to any of these areas, move it before the inspector arrives. Removing the clutter will make the inspection go more quickly and more easily. It will also reflect well on your home if it looks clutter free when the inspector arrives. This will help your home to shine in the inspection report. 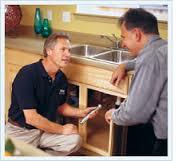 The inspector will check pipes under every sink in your home for leaking. It’s a good idea to remove or move items in under sink cabinets that might get in the way. Leaving him clear and easy access to pipes under the sinks will make the inspection go more quickly. It’s also a good idea for you to take a look under there. If there are leaky pipes or moisture in the cabinet under the pipe, go ahead and check out the cause before the inspector comes. If your home is older, or you suspect that there will be several problems to correct, it’s a good idea to have your own inspection performed. This will not stop your buyers from having their own inspection. However, if you have your inspection performed first, and you repair any items your inspector notes, then it’s unlikely that your buyer’s inspector will find anything further. Taking care of items before the buyer’s inspector finds them helps your buyers to have peace of mind that the home they are buying is in good condition. This could help prevent them from backing out of the contract or asking for significant concessions. Your home inspection is an important part of the process of selling your home. If you can have it inspected before you have a contract, you may save yourself work and money by knowing your home’s problems ahead of time. Fixing them on your own can be less expensive than having to have them repaired by someone else after a buyer’s inspection. But, if you can’t have your own inspection, at least be certain that you are ready when the buyer’s inspector comes to call. A home inspector’s job is to find potential problems with your property that they would consider being issues of concerns to the buyer. They will inspect your home room by room and the exterior of your home as well. A lot of the items that a home inspector covers are items that you or your home inspector can cover and can be corrected before you sell your property. – Landscaping: Make sure that all shrubs and trees are cutback from the house, gutters and roof. 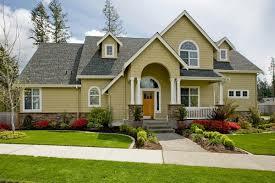 Curb appeal is crucial; remember your buyer views the outside of your property before they ever enter your home. First impressions can have a huge impact on the buyer’s attitude. – Exterior: Make sure your gutters are free of debris and that all gutters and downspouts are working properly. Remove any moss or mildew that has grown on the brick or siding of your home. – Exterior Door Jambs: With a screwdriver check the bottoms of exterior door jambs for damage from water. If you find soft wood it should be replaced and painted. Roof: The age and condition of your roof can add or deduct from the value of your property depending on its condition. If your roof has missing shingles,curled shingles or is over twenty years old you should seriously consider replacing it. – Heating and Cooling: A home inspector will check your furnace and air conditioning to make sure that it is free from defects.They will operate the systems from the normal operating controls. – Water Heater: Your water heater will be checked for proper ventilation of carbon monoxide, gas leaks if it is a gas water heater, and for water leaks or water stains. – Electrical: The inspector will check your electrical fuse box to make sure that it is the proper size and is wired according to your local code.They will also check the electrical feed to your meter on the outside of your home for signs of weathering. You should also be aware of your local building codes in regards to GFI’s (Ground fault interrupters) these are special AC outlets with their own breaker. 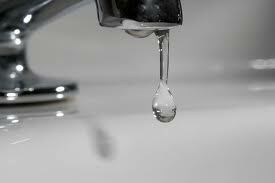 In newer homes they are required in bathrooms,kitchens, garages, or any where water is or could be present. – Interior Doors: Check that all interior doors are squeak free and that all doors close and latch properly. Plumbing: Dripping faucets, leaking drain traps, slow drains, loose toilets, leaking toilets are all items that would be covered in a home inspection. Look for a buildup of calcium around shut off valves and drains. These types of stains indicate either an active leak or a leak that was there in the past. They should be repaired or replaced. – Basement/Garage: A home inspector will look for signs of water damage and mold in any basements or sub floors. – Fireplace and chimney – If your home has a fireplace, have the chimney professionally cleaned and inspected on a semi-regular basis. 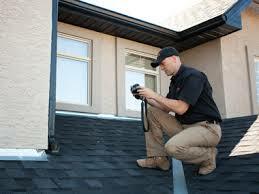 A certified chimney inspector uses specialized equipment and cameras to inspect the interior of the flue. While a standard home inspection may cover any visually-observable problems associated with the firebox or exterior of the fireplace, it does not address the area inside the flue. Attending the inspection gives you the chance to learn about the house and get an in-depth look at the property. 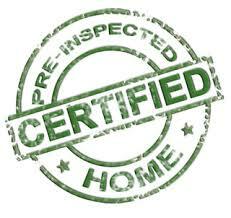 Buyers who attend the inspections can be assured that every detail has been inspected and a thorough job done. Every home inspection will cover some flaws in the property. Expect problem areas, and plan to address them with the seller. The inspection process is to find the major flaws like a foundation crack and not minor flaws like a cracked light switch cover. Consult your contract to determine whether you have an inspection contingency clause and speak to a professional if necessary. Fora sample copy of a property Inspection Schedule, click the download link below.